Ant Infestations: How To Deal With It? Do you simply not like the annoying ants in your home? Ant infestations can be a huge problem, and it can affect your health badly if you don’t take the right step. This is one of the major reasons why you should look for experienced professionals who can help you with ant control Perth. First and foremost, you should ask the professionals to analyses the property and eradicate the infestation from the root. Of course, it is not easy and will also take a lot of time. 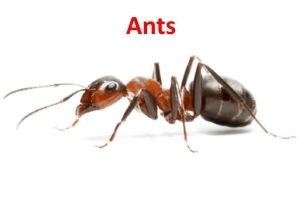 Making the right choice on ant pest control service is not something easy. Your home is one of the biggest investments which you made. And, you would love to live there with your family. While some pests may not annoy you so much like the ants, others can do a lot of damage- and this will also make the space unsafe. What you should do is look for a company with a city or state certification. Most of the states usually ask the companies to do the registration and apply for the license. Furthermore, you should also make sure that the license is current. As a rule, it is always a good idea to check with Better Business Bureau to know if the company you have chosen any negative feedback or complaint from the customer. This will help you know which companies you should avoid when you are looking for ant pest control Perth. Keep all these great tips in mind to choose the best company for ant pest control. Previous PostSpider Control: Can You Get Rid Of Them?Next PostTermite Inspection: Why It Is A Must For Your Home?